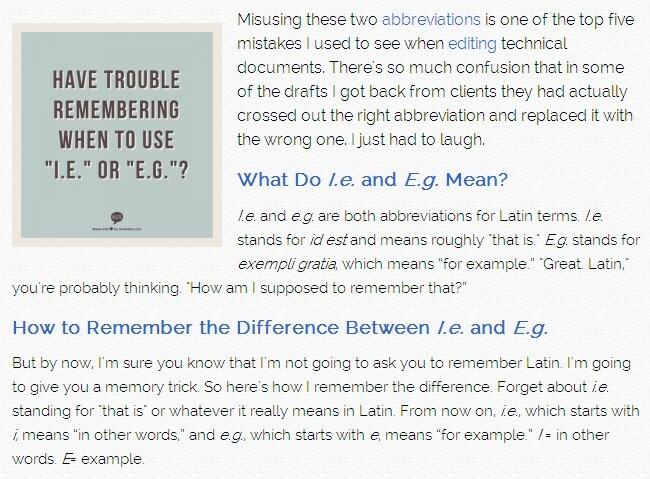 Learn the difference between the commonly confused abbreviations "i.e." and "e.g.". Follow along with the transcript to pick up Grammar Girl's memory trick!